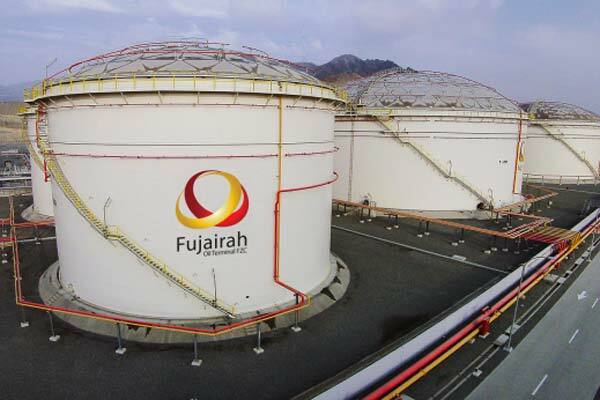 The total oil product stocks in the Port of Fujairah stood at 15.962 million barrels as of Monday, slipping 4.5 percent on the week as stocks of middle distillates fell by more than a quarter, according to latest data from the Fujairah Energy Data Committee (FEDCom). Stocks of middle distillates fell by 25.4 percent to 1.919 million barrels, a seven-week low, a Wam news agency report said. In the jet market, demand for Middle East export barrels to Asia is cooling. Singapore jet premiums recently rose to multi-year highs, but demand has begun to retreat with winter heating season now over, S&P Global Platts Analytics said in a report. Consequently, additional barrels from the region will look to move to Europe. By contrast, the gasoil arbitrage to the West continues to narrow, pushing cargoes eastwards towards Singapore, the report said. Stocks of light distillates also fell, dropping 12.5 percent week on week to 6.688 million barrels. Demand in the Middle East is moderate, with spot premiums for Arab Gulf Gasoline RON 95 averaging $2.46 p/b so far this month, and the region is expected to be well supplied by European gasoline cargoes. As well as favourable economics, the arbitrage may be compounded by a sell-off of winter-grade gasoline material in Europe ahead of the seasonal switch to the summer-grade from 1st April, Platts Analytics noted. Stocks of heavy distillates and residues rose by 13.2 percent week on week to 7.355 million barrels, an eight-week high and continuing to rebound from the record low of 4.84 million barrels set on 26th February. Premiums for benchmark Arab Gulf 180 CST FOB cargoes rose to a four-month high of US$10/mt Tuesday, in line with the strengthening of the 180 CST price in the Singapore market, the report said. Market sources have attributed a widening viscosity spread to early pricing in of the IMO's 2020 bunker fuel regulations. The lower sulphur limits are expected to lead to a big increase in blending activity, which could increase demand for lower viscosity material. Futures contracts for January 2020 are currently pricing a $20/mt spread between 180 CST and 380 CST grades, compared to a historical average of around $6-7/mt. In the near term, stronger premiums and backwardated front-month time spreads are further factors discouraging higher stocks, the report said.